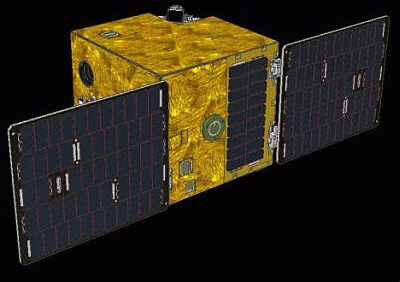 SOCRATES (Space Optical Communications Research Advanced Technology Satellite) is a microsatellite developed by NICT (National Institute of Information and Communications Technology), Koganei, Tokyo, Japan. The mission is to demonstrate and validate the operation of SOTA (Small Optical Transponder), a laser communication system in space for microsatellites and eventually in nanosatellites. SOCRATES is built AES (Advanced Engineering Services Co.,Ltd. and uses the small satellite standard bus with two deployable solar arrays. The satellite is three axis stabilized.